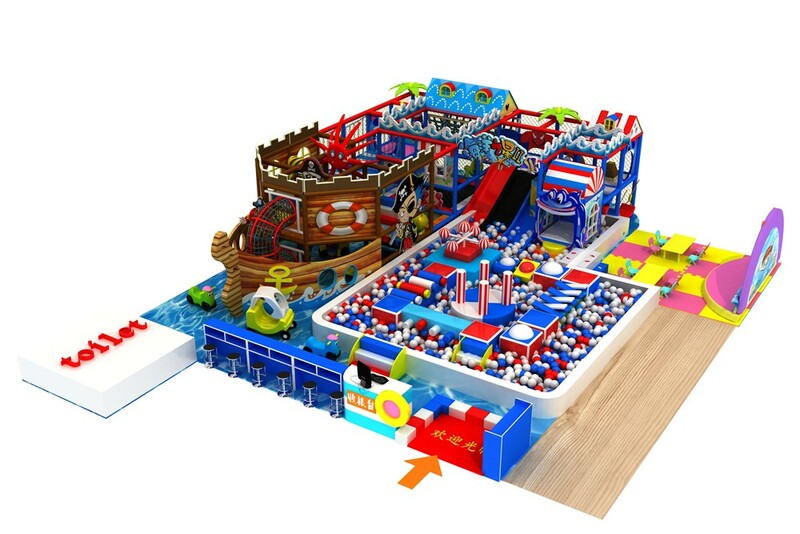 Ocean theme indoor playground is the most popular for kids. The indoor playgground including 2 levels. And there are many interseting play equipments in there. For example, sildes, ball pit balls, challege coures and so on. What theme indoor playground kids like best? As we know, there are different kinds of themes in the indoor playground. Which is the most popular for kids? I think lots of people don't know. Today I will introduce the different themes of indoor playground. We have jungle theme, ocean theme and so on. Today I will introduce the ocean theme indoor playground. Like this product, the indoor playground has 2 levels. In front of the playground has some challenge courses. In this part can let kids learn more skills. During play in the challenge courses, they can learn how to keep balance and do things never give up. And they never feel boring, because there are many play equipments are worth to explore. There is also a very eye-catching design in the playground, On the other side of the challenge courses is a big pirate ship. Many play equipments are included in this ship. When they're exploring these funny equipments in the indoor playground, as if they're traveling by boat in the ocean. It is very interesting and very appealing to children. So I think the ocean theme indoor playground that kids like best. This theme like a ocean that kids can traveling in there. And the most important kids can learn skills in there and they never feel boring.